I got 6 of these new in packages for 50 cents each at ReStore, sadly one of them was defective. 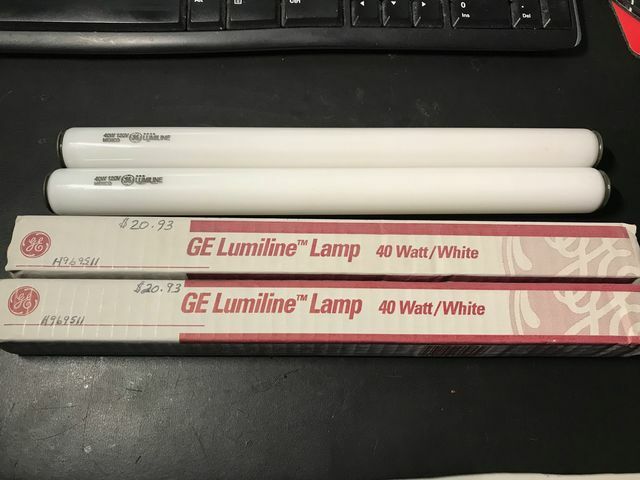 You can see the cost of them from the original lighting store. Cool find!! I had found a single one last summer at my nearest ReStore. Think I may had gave a buck for that and hate to imagine what they go for on eBay. or some other video source or platform.